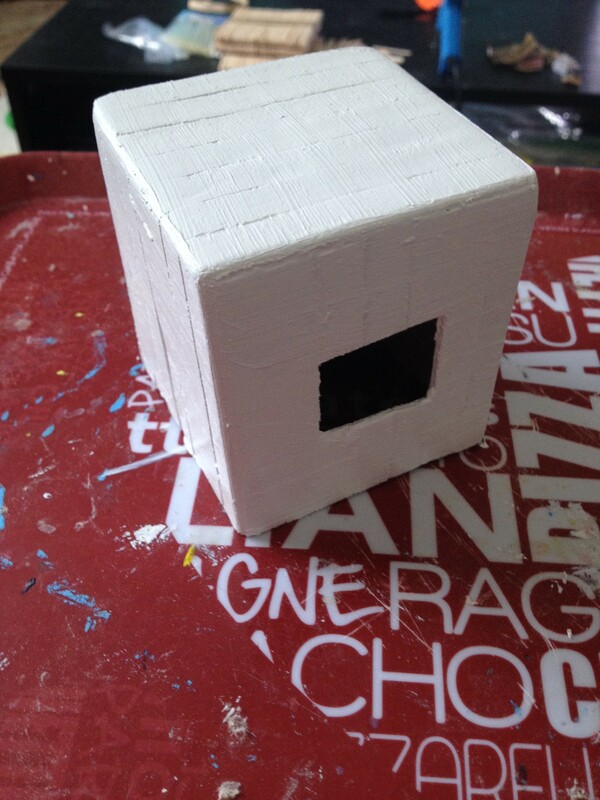 Want to make a novelty dice house for your hamster? Then look no further. Follow the simple step by step guide to make your very own dice. The one I have made is in white but you could use whatever color you wanted. The first thing to do is to measure out the length of lollipop stick that you will need to make the sides of your cube. To do this lay out the number of sticks that you want to use for one side. Then take another lollipop stick with one of the rounded ends cut off and lay this over the top of the others, as shown above. Mark the place that you will need to cut using a pencil. This is the best way I have found to make sure the length and width of each of the sides is the same, allowing you to make a cube. Use this lollipop stick as a guide to cut off of the other lollipop sticks to the correct length. You will need enough lollipop sticks to make 5 sides. 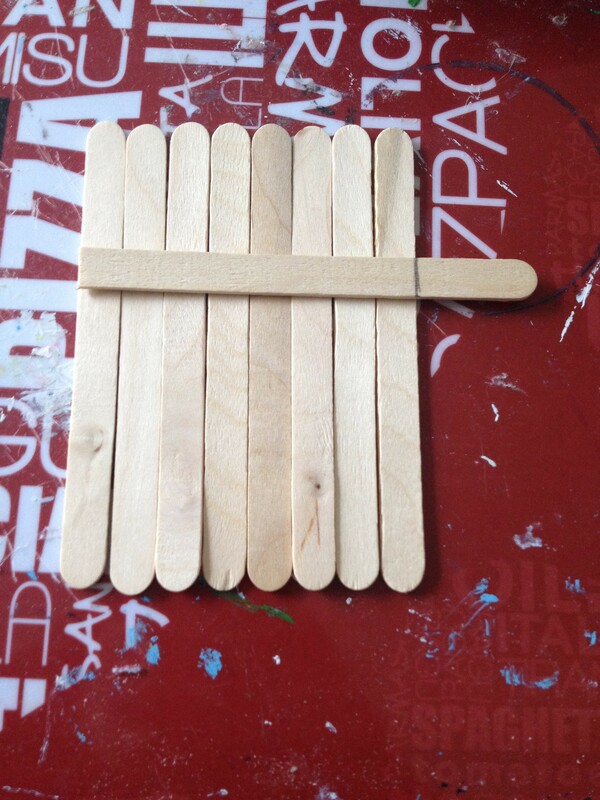 Secure the lollipop sticks together using non toxic glue. 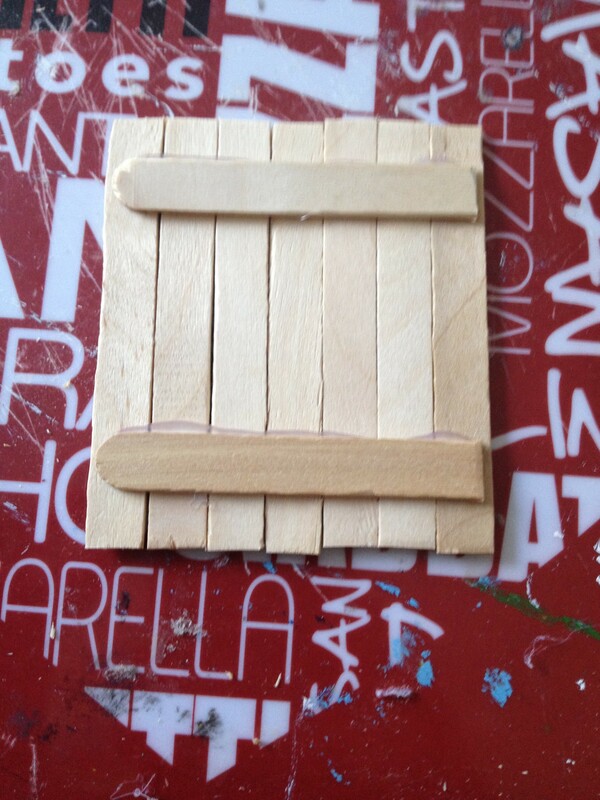 Make sure there is a small gap at either end of the piece that you are using to secure the lollipop sticks (as seen below), this will help when you come to assemble to cube. Take one of the sides to turn into the front piece. 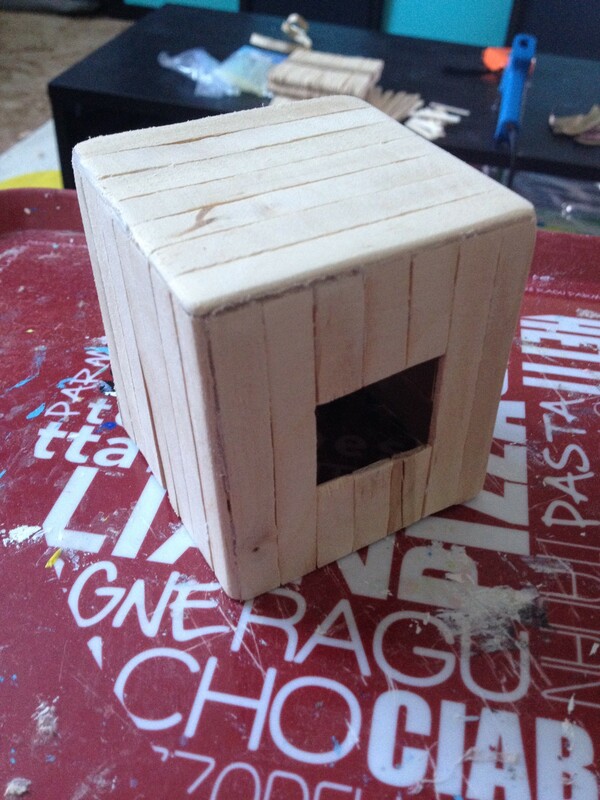 This needs to have a door so that your hamsters can get in and out. Just mark out the size and the position of the door with a pencil and cut this out using a craft knife or Stanley knife. 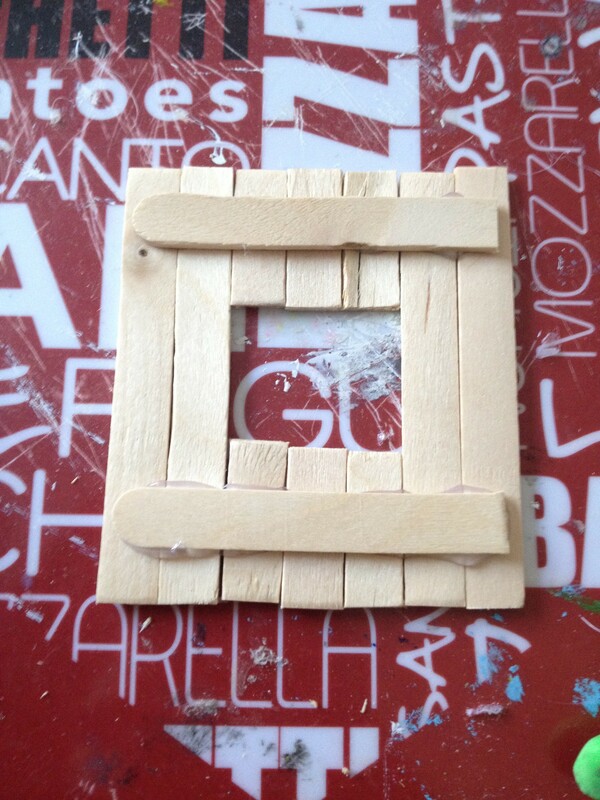 Glue off the sides together using non toxic glue and allow to dry. 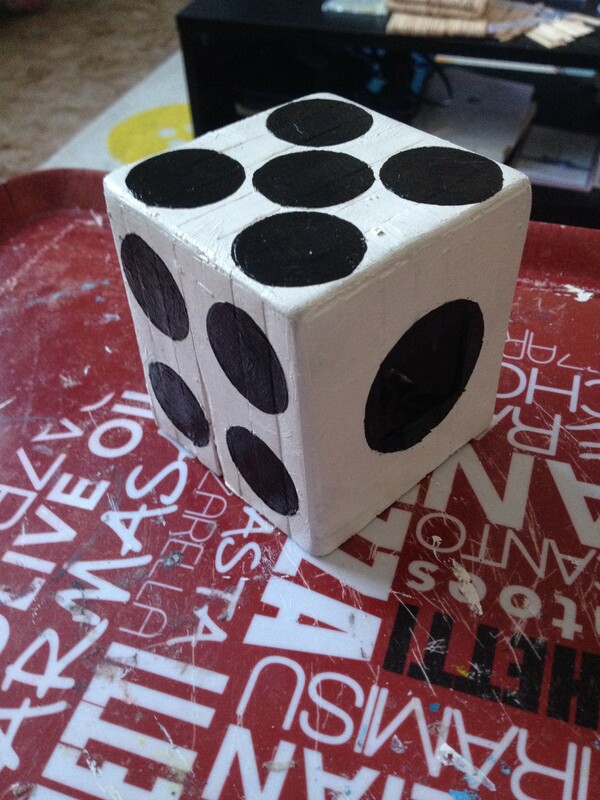 Once dry I recommend sanding the sides and edges of the novelty dice with sand paper. Not only will this get rid of any sharp edges, but it also makes the painting much easier and the finished house looks much nicer. The next thing to do it to paint the house with the main colour that you want your dice to be. For this one I have decided to go with the traditional colour of white with black dots. Once painted allow to dry. 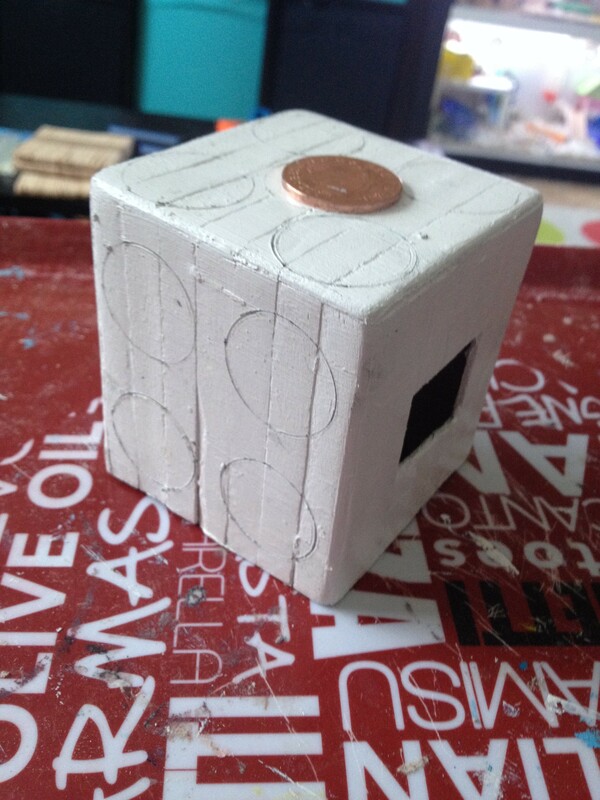 Once the paint is dry use a coin and pencil to mark out the sides of the dice. The correct layout for the dice is as follows: Front is one, top is five, back is six, to the left of the door is four, and to the right of the door is three, (the bottom would have been two). The last thing to do is to paint the dots in black. The dot over the door is larger than the others, I sketched a circle freehand to completely cover the door, but you could always use a compass if you would prefer. These novelty dice houses look great and everyone will recognise the design. 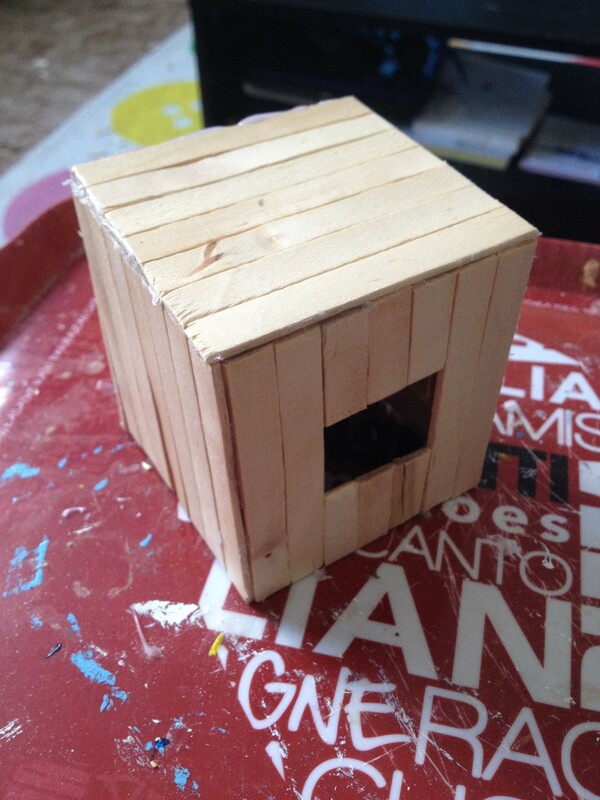 I think this is great in a hamster cage, and so simple to make.